Marvels of grace, balance, beauty and simplicity... The Classic Stanton Chess Set was first promoted by English chess master, Howard Staunton, at the first international chess tournament in 1851. Its clearly distinguishable pieces soon became the competition standard, and came to be used by professional chess players around the world. History really comes to life, thanks to Authentic Models. 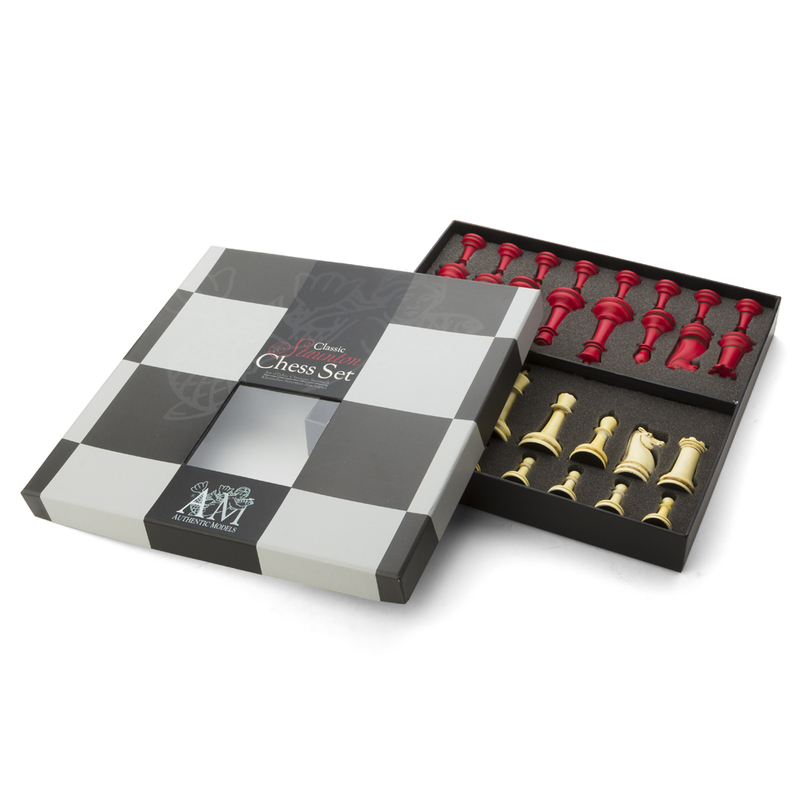 Red and ivory chess pieces are made from coloured resin with a felt base. Chess pieces feature elegant contours and well-weighted bases.